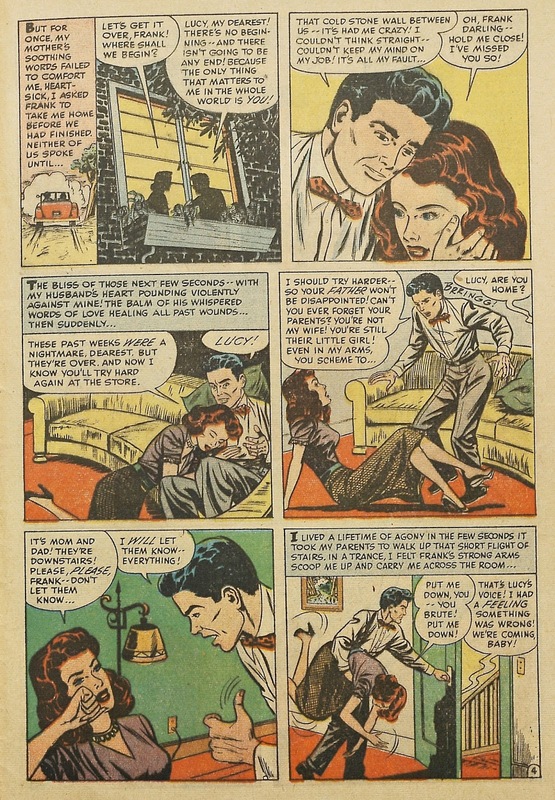 Harvey Comics is best known as the publisher of kid-friendly fare such as Casper the Friendly Ghost, Hot Stuff, Richie Rich, and Littles Audrey, Dot, and Lotta. 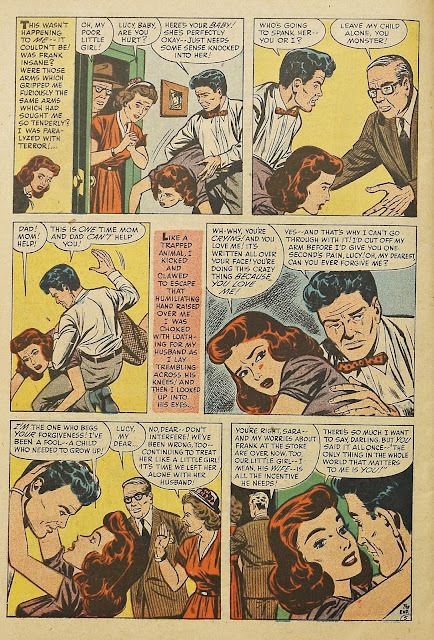 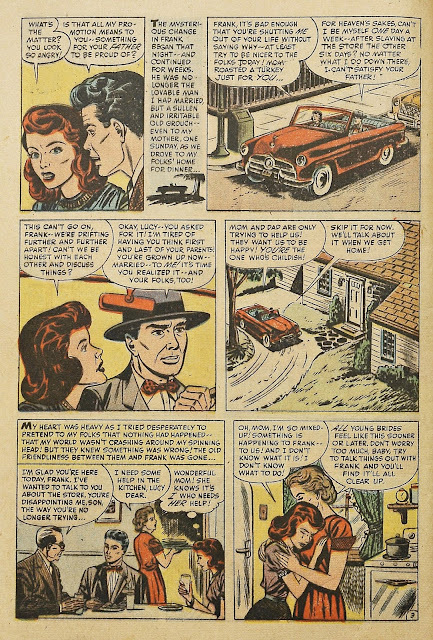 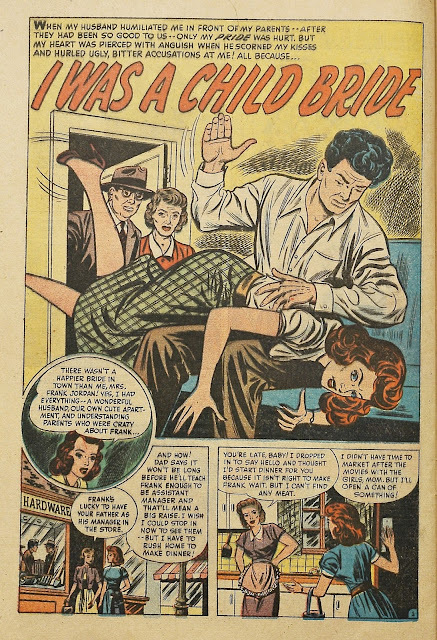 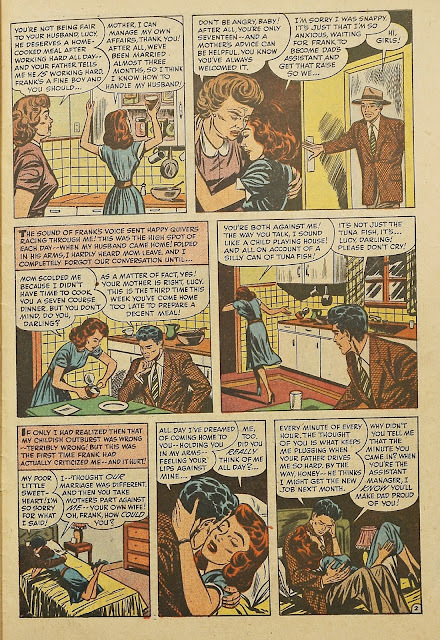 But for some reason they also published the obligatory romance comics like everyone else in the late 40s and 1950s. One such title was Teen-Age Brides which focused on young teens falling in love and getting married. Sounds like a great idea. Teen-Age Brides lasted seven issues between 1953 and 1954 and frankly, just based on this story, that was seven issues too long.